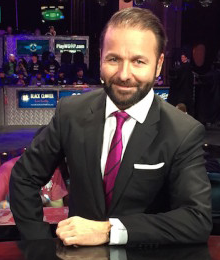 Over the last couple of weeks, my friends, relatives, and colleagues have asked me numerous questions about what it was like to interview Daniel Negreanu. 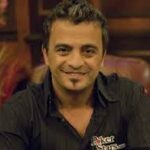 I’ve had the distinct pleasure of interviewing quite a few well-known poker personalities over the almost six years I’ve been blogging here at Cardplayer Lifestyle. 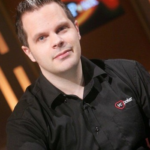 In particular, I’ve developed quite the penchant for interviewing people involved in poker media, including luminaries like Remko Rinkema, Bernard Lee, BJ Nemeth, Kevin Mathers, Eric Raskin, and Barry Carter, among others. As far as poker players go, I’ve had the honor of interviewing plenty of pros, including former WSOP Main Event Champions like Joe Hachem and Martin Jacobson, and even the rare privilege of interviewing the great Phil Ivey. 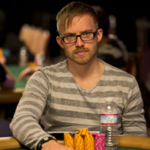 Yet, nothing could’ve prepared me for what it was like to interview my poker hero. I’m reasonably certain that the first time Daniel took notice of my poker blog was when I interviewed his personal assistant, Patty Landis, close to three years ago. I’m thankful to have stayed in touch with Patty since then, and grateful to have slowly but surely cultivated a friendly relationship with Daniel over social media since then as well. Nonetheless, our Skype conversation was the first time Daniel and I had actually spoken to one another. I probably spent more time prepping to interview Daniel than I’ve spent preparing for all my other interviews combined. 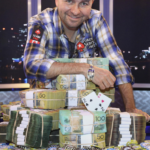 Right when I made it one of my poker goals for 2015 to conduct a Negreanu interview, I started jotting down questions. Daniel and I spoke on November 3rd. That means 11 months of preparation. 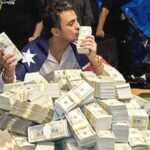 Of course, it’s not as though I spent every bit of my free time working on it – this poker blog is my extracurricular hobby after all – but it was always in the back of my mind throughout the year. Over the hundreds of times that Daniel has been interviewed on air, in print, and in front of the cameras, he’s been asked tens of thousands of questions. 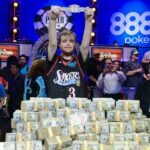 As poker’s premier ambassador, regularly mingling with poker fans far and wide at and away from the tables, people probably know more about him than any other poker player. So, the challenge was to try and come up with something unique. I also wanted it to be “great”; in other words, an interview that would hopefully stand the test of time. Over the course of almost a year, I waded through interview after interview he’s done. This entailed hours upon hours of reading, listening, and watching Daniel reveal himself one answer at a time. Daniel’s done a lot of blogging too, both in written and video form and has tweeted over 30,000(!) times. So, I slogged through most of those as well. Finally, I also watched tons of TV footage of Daniel playing live poker, live streaming his online poker play on Twitch, and doing promotional appearances on TV. Any time I thought of a new question, I quickly wrote it down on a piece of paper or, alternatively, added it to my Google doc if I was in front of a computer. Every time I realized or learned that Daniel had already been asked a question I had thought of, I struck it from the record. With every new short or long interview that came out during 2015, I “held my breath” that not too many of “my” questions would be asked. With the year slowly but surely drawing to a close and with a new full-length Negreanu documentary about to premiere, I realized last month that it was time to make a final push and organize my many pages of questions. After additional hours of categorization and refining, I finally felt ready. Beyond compiling all the questions, I realized that in order for the interview to truly stand out and have the potential to “stand the test of time”, it would have to be visually appealing. Luckily, I have an awesome brother who has plenty of video editing experience – thanks Marty for doing an amazing job (you can hire him here). 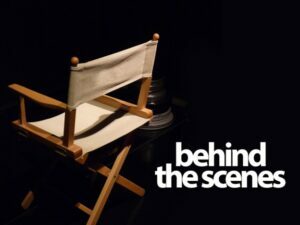 While the interview took place over Skype, the final rendition of the video was meant to mimic a TV-style broadcast as closely as possible, featuring numerous images, Tweets, and clips inserted into the 95-minute interview so as to make for a more engaging viewer experience. Not every poker fan has an hour and a half free to watch a video, no matter how entertaining it might be. Thus, it also made sense to produce a written transcript of the proceedings. With thanks to my buddy Jonah for grinding out the 20,000 words, I also made sure to add all of the rich media (images, videos, etc.) to complement the transcript as one reads through it. Thus, after all the initial preparation followed by the highlight that was conducting the interview itself, there was still plenty of post-production work to be done until the interview was finally ready for publication. With each question I asked Daniel, I felt as though I was releasing a treasured keepsake to the world. I had been so careful to keep all my research to myself for close to a year and, just like that, within an hour and a half, I found myself holding an empty clip. That the interview took place on my birthday was simply icing on top of the proverbial cake. I couldn’t have asked for a better present. I wanted to make sure I wrote and published this so that one day I could look back and reflect on the experience. Indeed, there was dreaming, declaring, and delivering. Beyond that, however, there was the sweetest taste of happiness achieved in feeling as though all the hard work paid off.